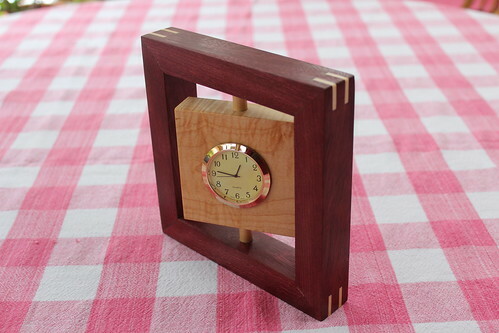 I made a couple of these just over a year ago, and then realized the other day I still had one clock mechanism left. It wasn’t doing anyone any good sitting in a drawer, so I made the clock to go around it. This one is purpleheart with curly maple. This is one of the older ones I did. Pretty much identical except for the wood choice (wenge and curly maple). From a design by The Wood Whisperer. 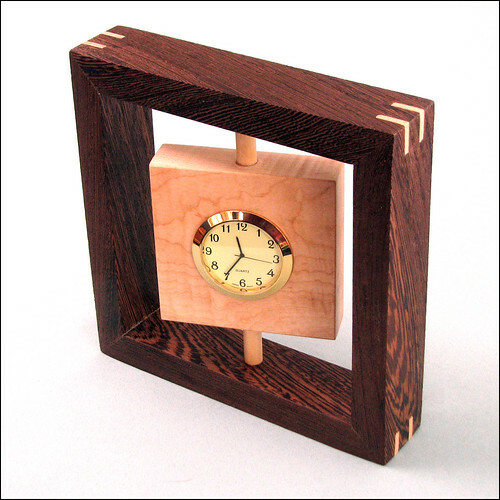 This entry was posted in Woodworking on January 13, 2012 by admin.